Keep an eye out for LEGO sets on clearance because we have seen quite a few different set marked down Most of these sets are currently 30% off, however there is a good chance we will see them go even lower over the next couple of weeks. Remember the markdown day for toys is Thursdays. 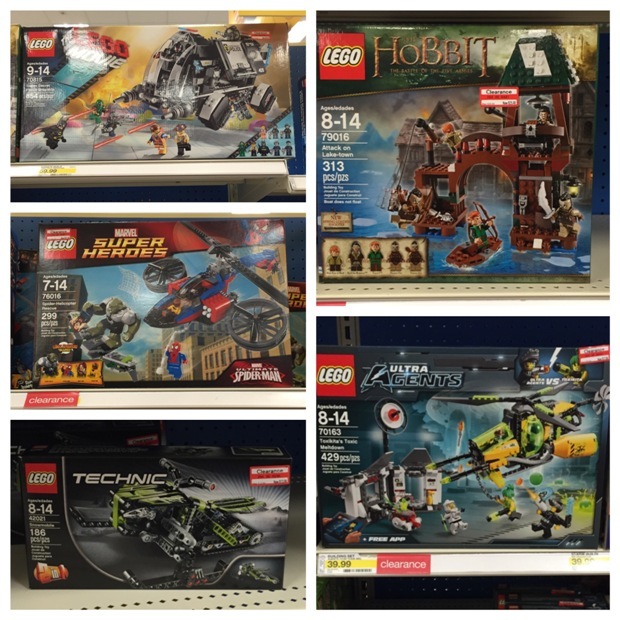 All of these sets were found on the LEGO aisle and not on an end cap. There were several other sets not pictured here too! Let us know if you find lots of LEGOs on clearance at your store too.